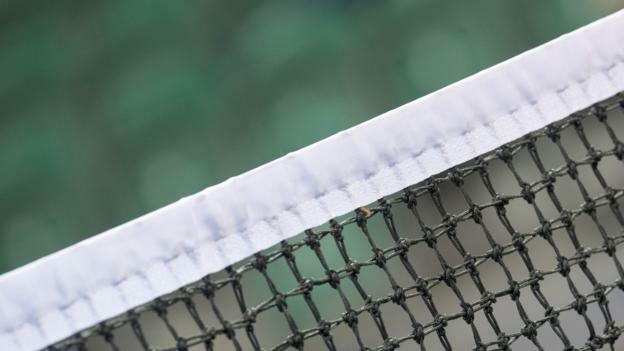 The 2019 Miami Open rolled on Friday with most of the fourth round being set on the men's and women's brackets. A star-studded field has descended on Miami for one of the biggest Masters and Premier Mandatory events of the year. Naomi Osaka and Novak Djokovic—the top-ranked players on the WTA and ATP, respectively—are two of the leading contenders to win. Both players will have hurdles standing in their way of a title. Serena Williams, Petra Kvitova and Simona Halep are among the top women's players competing. 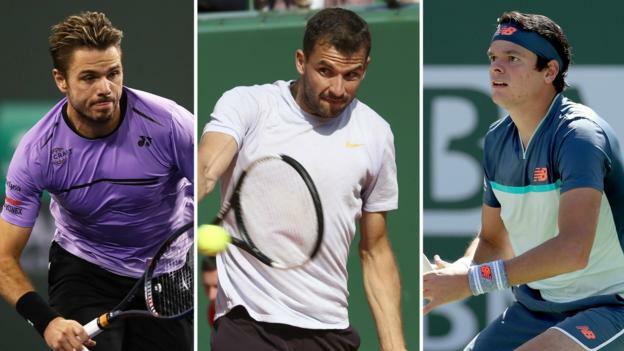 Roger Federer, Alexander Zverev and Kevin Anderson are among the men's players who will attempt to spoil Djokovic's party. Two weeks after an illness forced her to retire from a third-round match at the BNP Paribas Open, Williams made a successful comeback by defeating Rebecca Peterson in three sets. There were signs throughout the match Williams is still trying to find her groove on the court. She managed just four aces in three sets and allowed Peterson to convert 67 percent of her break-point opportunities. Williams has endured her struggles at this event since last winning in 2014. The 23-time Grand Slam champion was upset by a then-unranked Osaka last year in the first round and hasn't made it past the fourth round since 2015. The men's side of the bracket was shaken up with two top-five seeds falling in their first singles matches of the tournament. One men's player who didn't have an issue was Djokovic. The six-time Miami Open champion needed just 74 minutes to send Bernard Tomic home. Djokovic has had a light schedule to start this season. 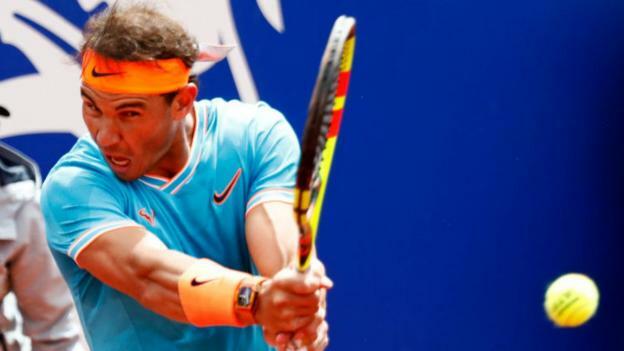 The Miami Open is just his fourth event of 2019, with his lone win coming at the Australian Open. He hasn't won this tournament in three years, but the early returns look promising for a deep run. The season-long struggles continued for Kei Nishikori following his upset loss against unranked Dusan Lajovic Friday. Since starting the 2019 season reaching the Australian Open quarterfinals and Amro World Tennis Tournament semifinals, the Japanese star has failed to make it past the third round in each of his last three tournaments. It's Nishikori's 10th deciding set of 2019 in 18 matches (6-3). Crazy. Nishikori started well with an easy 6-2 first-set win over Lajovic, but those good feelings quickly faded. His serve was broken three times in the second set. The 29-year-old never regained his footing, losing before the fourth round in this event for the second consecutive year. Third-ranked Dominic Thiem was taken down by Hubert Hurkacz in straight sets 6-4, 6-4. One potential explanation for Thiem's disappointing turn is it came just five days after he finished off a victory at Indian Wells where he defeated Federer in three sets. Hurkacz, 22, is on the best run of his ATP Tour career. He defeated three ranked opponents at Indian Wells last week before losing to Federer in the quarterfinals. Thiem is the second top-five player the Poland native has beaten along with Nishikori at the Dubai Duty Free Tennis Championships. Osaka advanced to the third round with a baffling performance against Yanina Wickmayer. The top seed lost one game total in the two sets she won, but Wickmayer came alive to win the second set in a tiebreaker. Osaka is trying to find the form that helped her win the Australian Open. She followed that victory by losing her first match at the Dubai Duty Free Tennis Championships and lost in the fourth round at the BNP Paribas Open. Even with that mid-match hiccup, Osaka looked to be in peak form at various points. She had a 14-9 edge in aces and saved 83 percent of break points against Wickmayer.